Including Christmas dinner starter ideas and an alternative Christmas dinner recipe. 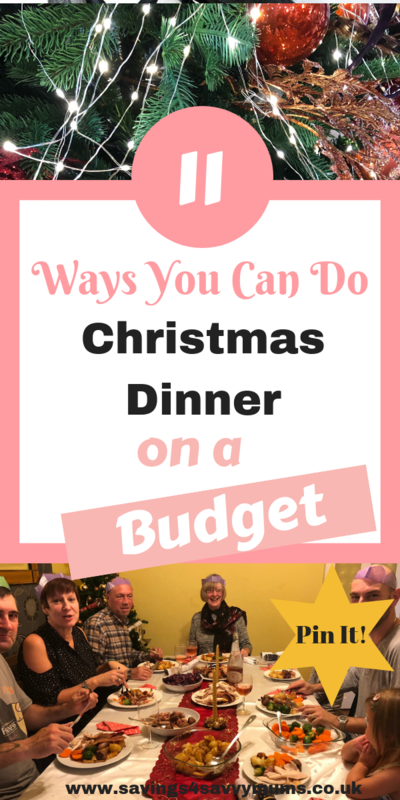 If you’re looking for Christmas party ideas on a budget then this is the post for you! We’re covering everything from Christmas dinner starters to how to have a Christmas dinner for a pound a head. 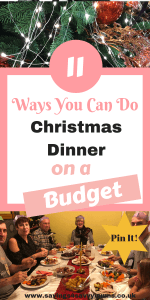 It’s easy to get carried away over the festive period, but with a bit of planning, it is still possible to have an indulgent meal for a budget price. We all know that food prices have risen, but even shopping at one of the big four, could see you quids in. You have successfully joined our list. 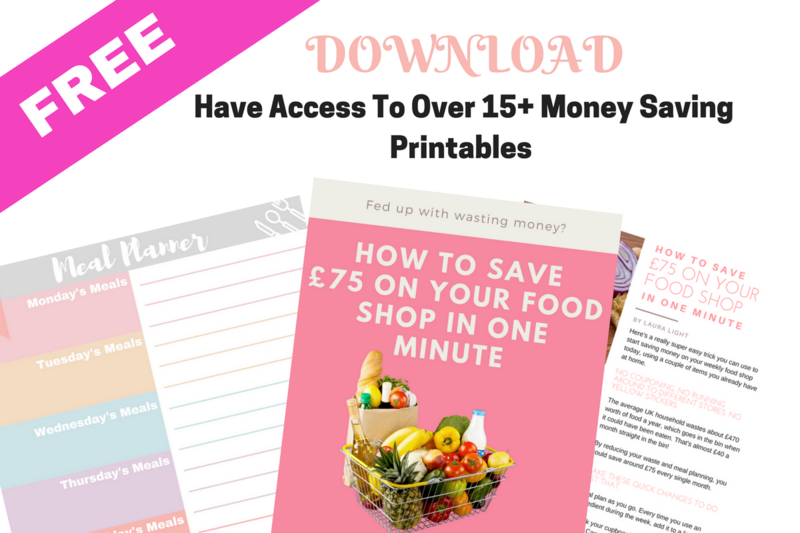 Your free money saving printables are on their way. Please remember to check your spam folder. Before you even start shopping for your Christmas dinner it’s important to have the right tools in place so you don’t over spend. Keeping your budget on track over the Christmas period isn’t easy. Using these 5 money saving Christmas hacks could help you keep more money in your pocket. Remember to come join our Facebook Messenger Group for all the latest deals, freebies and quick family money saving tips! 4. Of course there are plenty of other ways to save money, and once you start seeking them out then you will be amazed at what you find. 5. Use an app like Plum* to keep track of your spending and to help you save. Using Plum* can help you build up your savings, pay off dent quicker and invest to make your money work harder. It’s free to join! From drinks to gifts the festive season can start taking a real toll on your budget. Coming up with cheap but “posh looking” starter recipes isn’t easy, but below we’ve given you our top five that our family love. You can look at the other 12 Christmas dinner starter ideas here. Before you start shopping, check what you have at home already including your kitchen staples to help bring the cost down. Using your tinned items or purees, eggs and rice can really keep the price low. The average Christmas dinner is now coming in at a whopping £10.71 per person! You can still have that indulgent Christmas dinner but without it breaking the bank. This is based on the above package from Muscle Foods and using gravy granules. Of course, we had a lot left over but planned too. This may sound counterintuitive, but buying a bigger turkey than you need and using it as leftovers can often work out cheaper per kilo. It’s often a myth that healthy or organic meats are more expensive. Using a service like Muscle Foods cuts out the middleman, and can deliver fresh produce and meat to your door. Giving you a perfect Christmas dinner at a lower cost! Using up everything you have leftover means that your meal budget can come down dramatically. These are dinners that even the kids will eat and that are mega easy to prepare, using staple ingredients found it your cupboard. We’ve picked our top 5 here but our full list of 13 Leftover Feasts can be found here. All these come in at under £1 a head for a family of four. 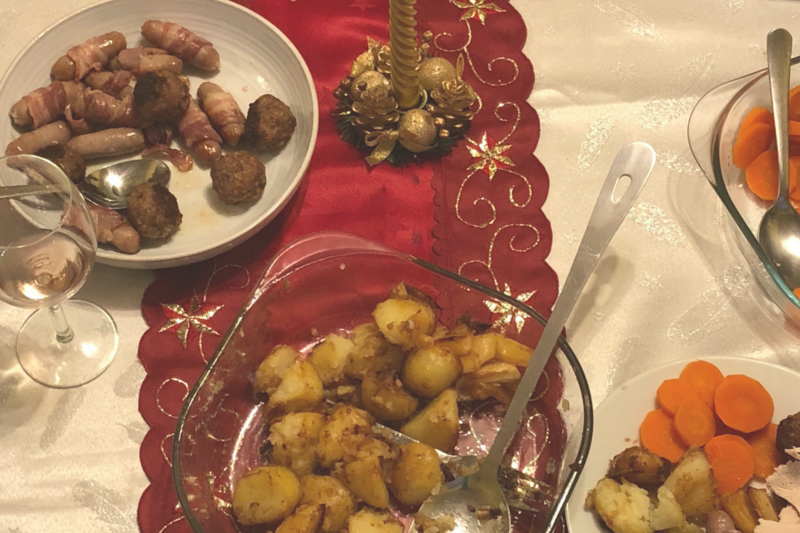 If you’re on a real budget this year but still want an amazing meal with all the trimmings then this Christmas dinner makes a great alternative. It comes in at just over £1 a head each and can be made with frozen mixed vegetables to bring the price under a pound. Carrots, peas, sweetcorn, swede, and parsnips. All frozen and really low in price, and worth it if you’re only cooking for four and the kids aren’t fond of vegetables. This Christmas shop is based on Asda, but closer to Christmas, the two budget supermarkets tend to put the vegetables on their specials, meaning you can either go lower or up the vegetables. 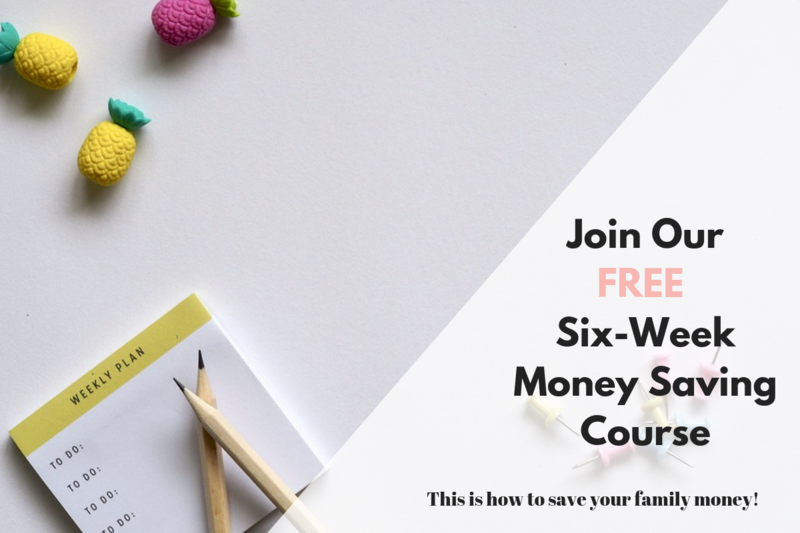 Come join our free money saving course and save your family more money. We walk through all our tips and help you set a saving goal that you can stick too. Join us here and get saving today! It’s free! What Else Can You Do to Save Money Over the Festive Period? 4. Use a site like Switchcraft* who automatically switch you on to the best energy deal for you. 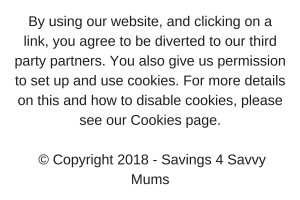 We saved around £500 this year by using them. 5. Check Your Cupboards. If you have half eaten packets of dried fruit or long forgotten minced meat, then use that to make your own dessert. Chestnuts can be used in your stuffing, the old onion going off can go in your soup; anything can be chucked in to make your dinner that extra bit special. Think of it this way, it’s not costing you any more money and you get to clear your cupboard at the same time. Win! 7. Leave Prepped Vegetables. Don’t be tempted to buy pre-cut vegetables thinking that they are convenient. Get everyone involved and prep the night before. All the vegetables can go in the fridge in till the morning then cooked as normal. 8. Downshift. This is when you swap your normal branded items for the supermarket’s own brand. You start at the bottom and work your way up, stopping when you’ve found something you like. On some products, you may like the cheapest, when others it could be one or two versions up. Things like cranberry sauce, gravy, stuffing mixture all can downshift. 9. Swap Meats. Sub turkey for a chicken leg or a ham. It’s far cheaper and looks good off the bone, or Miguel Barclay from One Pound Meals debones his and makes a ballotine. Gammon and brisket are another cheaper meat ideas. 10. Don’t Panic. Come December, most people’s houses look like they are preparing for a lock-in, with a lot of food not even opened. Don’t panic buy. It’s all too easy to go crazy on Christmas eve when you look at what you have and it doesn’t look enough. It will be, and it’s far more important to not overspend. 11. Meal plan. I know it sounds simple but many people “go rouge” during the Christmas and New Year week. Plan and keep to it. Use all those leftovers and enjoy the money you’ve just saved on that week’s shop. How much do you spend on Christmas dinner? Could you do it for one pound a head? Let me know in the comments below.